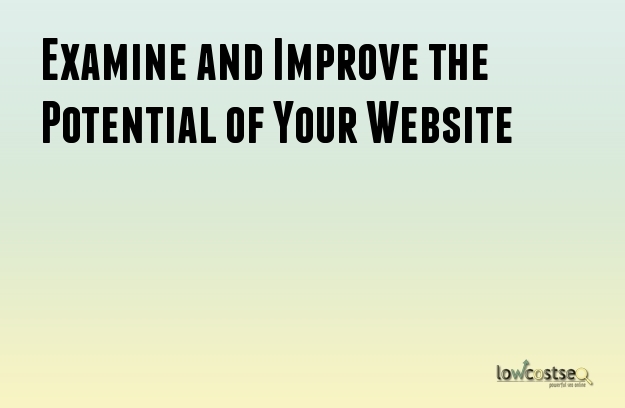 Your website should always be living up to its full potential. Unfortunately, many features and functions of websites tend to get older and unsuitable as newer ones get developed. As such, the usability of the website decreases. This can result in your customers finding it difficult to use your website which in turn can affect your SEO. That is why you need to examine your website for errors and make updates as necessary. Before you start examining the website ensure that you have these tools to help you. You have to make sure that the basic structure of your website is good enough. Examine the site indexation with the help of Webmaster Tools. The titles should be optimized and unique. Optimization of loading times and the speed of your website is important. Headings and menus should be easily crawled. Validation of HTML is crucial. Different versions of the site can created to cater to audiences from other countries. In that case, the correct version should be accessible by them. Check the navigational systems of the website to ensure easy usability by visitors. Content is one of the most important components of any website. Identify and eliminate duplicated copies. Each page should have enough content. Videos, images and other multimedia components should be easy to discover. Content should be easily shareable. The amount of content in a page should be higher than the numbers of ads in it. Ensure that the content has been marked up with the help of social meta-tags and rich snippets. Headlines should be updated and be relevant to the content under it. The content should serve the users with value and information. Eliminate all content that serves no purpose whatsoever. Even the most basic of checks and repairs can improve the usability by a large margin. Hierarchy of the website should be easy to understand. Each page should have a suitable H1 tag. Short URLs will be better than longer ones. It is crucial to make small adjustments to increase the stability of the website and improve its performance. Any errors of the 400 or 500 kind should be corrected at the earliest. Temporary redirects of the 302 kind may have to be implemented in certain cases. However, it is not possible for them to replace 301 redirects which are of a permanent nature. Broken links should be located as soon as possible and repaired or eliminated. The backlink profile should not have anything that can cause Google Penguin to hit your website with a penalty. If you have a store for your business, you should use Google Places for Business so that the location of the store can be verified. You will also be able to mark the location on Google Maps. A website needs to undergo an examination on a regular basis to ensure that it can serve the users in the appropriate manner without any errors.